Live Music Packages at Snowvillage Inn, you say? What is the Stone Mountain Art Center? Two very good questions. You know the feeling when your favorite artist plays their song that always makes you sing or tap your toes? Well we do, and we’ve got just the place to share with you! 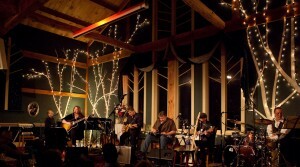 Stone Mountain Arts Center, or SMAC as it is referred to by the locals, is only a few minutes away, just across the Maine border. 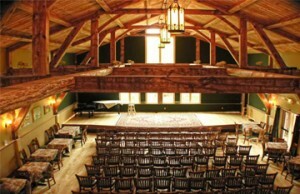 Nestled in the foothills of Brownfield, Maine, this magnificent 200 seat timber frame music hall is an intimate and uniquely special place to see an artist. 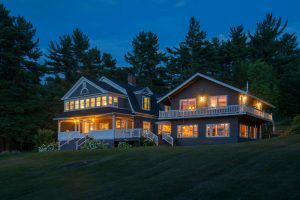 It’s a country place, where artists like Marty Stuart, Mary Chapin Carpenter, Béla Fleck, Capitol Steps, Paula Poundstone and Lyle Lovett might pass, a few cows or the occasional loose horse on their way up the hill to the Arts Center. A place where every seat is up close and personal. A place where you make new friends. A place where you can’t wait to see another performance. Our packages allow you to savor the whole experience, we’ll take care of everything for you. All you have to do is enjoy! Most of SMAC’s performances sell out so we always recommend making your reservation plans as early as you can…you don’t want to miss out! Check out the calendar below and make your reservations today, 603-447-2818 or Click Here to Reserve. *all SMAC reservations require a nonrefundable deposit of half the package price. Some performances may sell out with out notice, please be advised that your reservation is not confirmed until our Reservationist calls you.